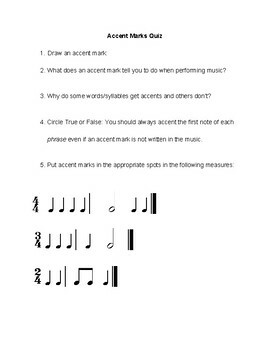 This quiz assess a student's ability to describe the function and apply the use of accent marks in music. I made this to use with my 6th-8th grade middle school chorus students, but can be used in any middle or high school music class. Downloads in PDF format.